Apollo is the noble shoe brand of Sioux. Here classical forms are reinterpreted with the highest quality materials. Real handcrafted in Portugal, unique shoes are created that give every outfit a particularly exclusive look. Few things in fashion are as undisputed as the style and shape of an exclusive men's shoe. With Apollo shoes you are confidently and stylishly dressed in every situation - regardless of age, occasion and environment. Apollo shoes do not make fashion concessions to short-lived trends. Every Apollo men's shoe is a clear commitment to classic forms and craftsmanship traditions. Apollo shoes embody minimalist elegance, quality, durability and timeless aesthetics. Write your own personal success story in your Apollo men's shoes. Order your Apollo shoes online today. Apollo shoes are for men with the highest demands. We combine quality, timeless design and classic aesthetics in their most beautiful shoe form. Each Apollo shoe is manufactured with attention to detail and stands for unobtrusive elegance. The Apollo shoes are perfectly processed in every single step and guarantee you a unique wearing comfort. With the clean design of an Apollo shoe you make a stylish statement. Our claim to accompany you through life with our Apollo shoes requires the highest quality. But we are far from satisfied with the Apollo shoes. For Apollo shoes we use only the best materials. Every single shoe leather is tested by selected experts. Each of the hand-made crepe soles is made of high-quality natural rubber for lasting, luxurious comfort. The crepe soles are another fashion statement. Over time, the crepe soles of your Apollo shoe develop a unique patina that is second to none in the world. Just as you are like no other person in the world. Apollo was founded in 1879 by Heinrich Dinkelacker in Sindelfingen near Stuttgart. The founding family decided early on to specialize in high-quality Apollo men's shoes. The brand name "Apollo" was chosen on the model of the Roman god of purity and the arts. With this role model in mind, Apollo shoes have established themselves as a brand that embodies high-quality and exclusive men's shoes. In 1992, the brand name Apollo, material stocks and technical know-how were sold to Salamander AG in Kornwestheim. At the end of the nineties, the brand management of Apollo was taken over by the then Salamander subsidiary Sioux in Walheim. 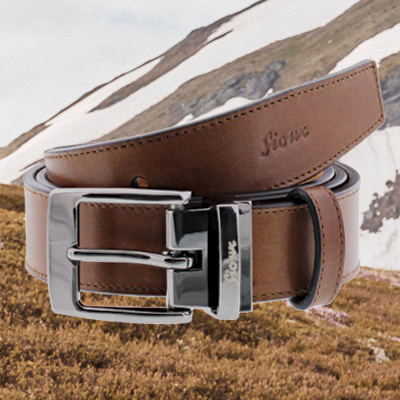 Sioux still maintains the exclusivity of the brand today, more than 140 years after its foundation, through fine details, traditional expertise and a fashion focus. So don't hesitate and convince yourself of the unique high quality of Apollo men's shoes. Order the high-quality Apollo men's leather shoes online today and enjoy the inimitable wearing comfort. If you have any questions, wishes or suggestions, our customer service will be happy to assist you. If you buy Apollo shoes online, shipping within Germany is always free of charge. You also have the possibility to order Apollo shoes risk-free on account.